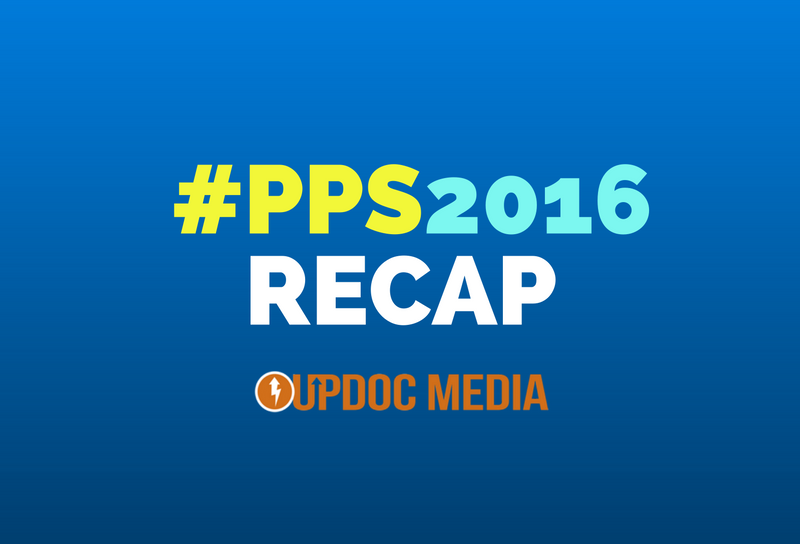 Last week was the APTA’s Private Practice Section’s Annual Conference, #PPS2016. To say that it was off the hook… would still yet be an understatement. THIS, is how it went down… plus, the 10 themes we observed throughout the conference. 1. Gotta Spend Money To MAKE Money. First the irony: Bringing a bunch of risk averse, cost conscious physical therapists to the mathematical fated doom of Las Vegas gambling for a conference. Once we all got over that silliness, it was good to see that many owners have begun to see business as… well, business. This is definitely signs of growth as private practice has, for a long time, been seen as a private CLINICAL practice… with elements of business within it. Now, we hear many more voices understanding the business principle of needing to spend money to make it. After all, that is what investment is all about! While physical therapy business may never fully leave the identity of lean, bootstrapping; what it is growing into is the idea that profits come from volume of money earned, not only from money saved. 2. Talent is STILL The #1 Pain Point. We talked to a lot of owners. A LOT of them. Last year, owners expressed that finding and keeping good talent was the biggest business challenge they had. Earlier this month, when Gene & I spoke at #AscendEvent, owners once again expressed the challenge of finding good talent. In fact, during the conference, I blasted out to social media to connect owners with my social network. Specifically… to the Bay Area and in North Carolina. Anyone interested? Let me know & I’ll put you in touch. 3. Communication within the profession needs improvement. Something we keep hearing about is how many committees, task forces, masterminds groups, clubs, etc. there are within and throughout the physical therapy community. The problem isn’t the number of them; the problem is that no one communicates with anyone! Colleagues are continually reinventing the wheel for paranoia that marketshare, credit, and/or valor would be stolen by conceived “competitors.” I wrote a long time ago, STOP COMPETING & START COLLABORATING. When I proposed this to the Virginian DPT & PTA student at their student conclave #VPTASC2016… they understood the importance immediately. Outpatient physical therapy as an INDUSTRY… holds less than 8% of the musculoskeletal marketshare. This is just but one example of how we need to communicate and collaborate in order to make gains on the other 92%. And, their stories need to be told. Gene & I had the privilege and pleasure to have some truly deep conversations with the pioneers & living legends of our field. The thing of it is, you would’ve never known it because of their humility. The profession has changed a lot over the years. And, there is more change yet to come. There seems to be a lot of griping about the disconnect between the incumbent leaders of the profession and the up-and-coming new generation of millennials. Really, what we’ve discovered is that there isn’t a disconnect at all. The connection has yet to be made. If people would just talk… the similarities would gush and abound. We’re encouraging all you trail blazers with a passion for legacy to share your stories! Speaking of connecting, we also had the pleasure of engaging with international physios. What we learned was this: the challenges across national borders are more common than they are unique. People are people & the physio profession resounds in the same way to respective markets. All to say: As much as we need to unite as a profession within the United States, we need to unite across the globe. The biology behind payment schemes, market policies, regulations, etc. vary less than we think. It’s still people helping people achieve their best health. In many ways, what US PTs envy of international Physios is very much a “grass is greener” situation. My suggestion: Start collaborating with international physios. They are learning lessons we can avoid and we have lessons to give for them to find success in. Get out there and unite! 6. Everyone hates VEGAS smoke. Everyone loves Vegas booze. It was to a point of sad hilarity that nearly every greeting at PPS also came with complaints about the smoke on the casino floor. Many attendees to PPS came from coastal states where cigarette smoke is basically a social sin. Well… not so in Vegas. Despite most of the people in the casino not being smokers, it only took 1 out of ever 20 to change an entire floor into a walking ash tray environment. Yet… while smoke got the hate, the booze got the love. Every bar at the Wynn was packed full of PTs enjoying wine, beer… and, if you were anywhere near Jerry Durham… you were also enjoying Old Fashions. 7. PTs know how to party! 8. The Public Doesn’t Know Us. Gene & I went out along the strip of Las Vegas with a recorder and video camera. We went up to strangers to ask them what they would do if they had low back pain. And, we followed it up with who they would see in the medical profession if they were to seek treatment. We will be releasing this piece soon enough… nevertheless, the majority of people simply didn’t know who physical therapist are. 9. The PPS Culture Shift. For the longest time, PPS was a culture of and for private practice clinic owners. The culture is shifting to a business culture, not just a “private practice” identity. This means that students, non-owners, managers, hospital administrators, academia, corporate leaders… they are all welcome because PPS is more than just about the business of a clinic. PPS is is about the BUSINESS of healthcare and the significance of leveraging the physical therapy segment within this industry. 10. From Organizations vs. Innovators to Organizations + Innovators. Last week, the UpDoc Media Takeover of APTA Headquarters took place. We had truly meaningful and authentic discussions with our top leaders. Again, at PPS, we were invited to roundtable with leaders within this section to talk about how to more widely integrate and involve members of the profession. Organizations change. However, they change slowly and do so much like an ocean liner. The strength of an ocean liner is that they carry many souls and aim to bring everyone along. This is very different than the high performance racing yacht; nimble, agile, fast, adaptable. And, just as this metaphor is true, so is the metaphor of ships in a fleet. The agile ships are to scout and make available safe course for the ocean liners. This metaphor leads to the last theme of this #PPS2016 recap. Having been a part of many conversations over the last few months, we find that the innovators and organizations must work together so that both the roof is raised and the floor comes with it. To do this properly, organizations must openly hail and recognize champions of innovators. And, innovators must do all they can to channel their audience to encourage the rear guard that no one gets left behind. Finally, just in case you missed it, the PPS Impact Magazine featured both myself & UpDoc co-founder Dr. Gene Shirokobrod. 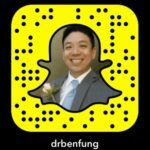 Check it out, below!